Welcome to openSim! We have created this platform for engineers, scientists and researchers interested in open source computational mechanics software. We hope to provide you with useful links to kickstart you in using publicly available CAE solutions. The site aims to connect people with similar interests and improve collaboration both locally as well as on the continent. We have provided links to software packages as well as training material we found helpful, hoping this will lower the entry barrier and allow you to adopt open source simulation. To get you started we recommend you have a look at FreeCAD. Although the software is a CAD modeller at its core, community developers have created FEA and CFD work benches or add-on modules for this package. These provide the beginner with an intuitive interface to create a geometry, setup the test case parameters and constraints, run the simulation and view the results. The FEM workbench employes Calculix to perform structural analysis while OpenFOAM is used to compute the flow solution. 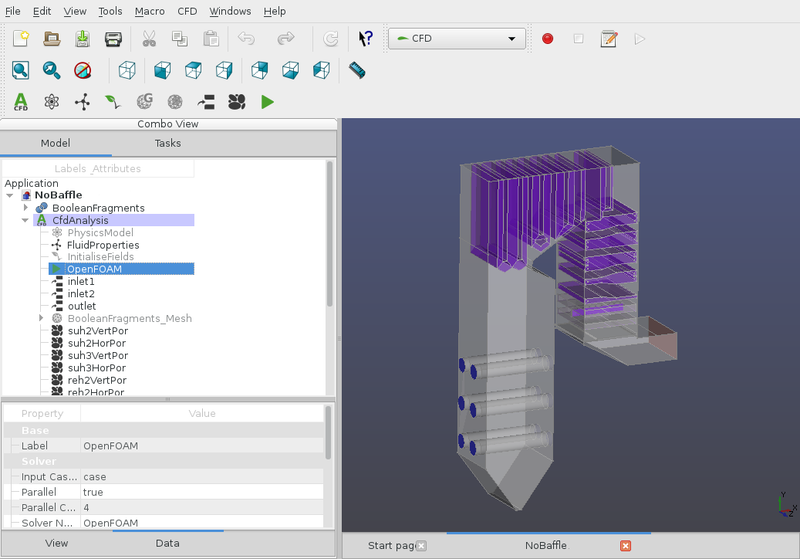 FreeCAD provides the user with access to Python packages such as numpy and matplotlib to post-process data and uses VTK and ParaView to visualise the results. Under DOWNLOAD we provide links to the respective git repositories as well as more up to date executables for Windows. A number of step-by-step tutorials are listed under TRAINING.